We have some serious LEGO aficionados in this house. So much so that we actually shipped Andrew’s childhood LEGO collection to the US from England when his parents moved and cleaned out their attic. Yes, we still have 1970s LEGO being used around here and it is awesome. 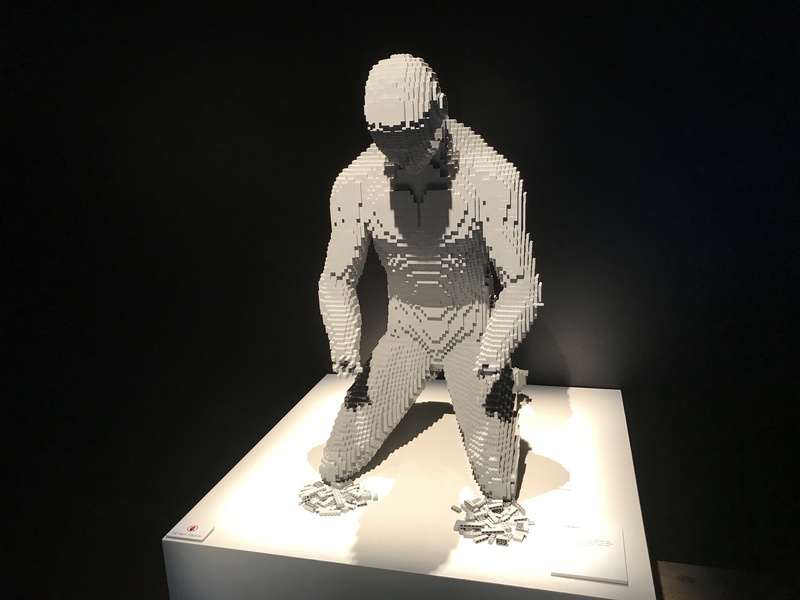 It should therefore come as no surprise that we were compelled to visit the Art of the Brick LEGO Exhibition in Tampa. After all, it’s FREE! And it’s LEGO! 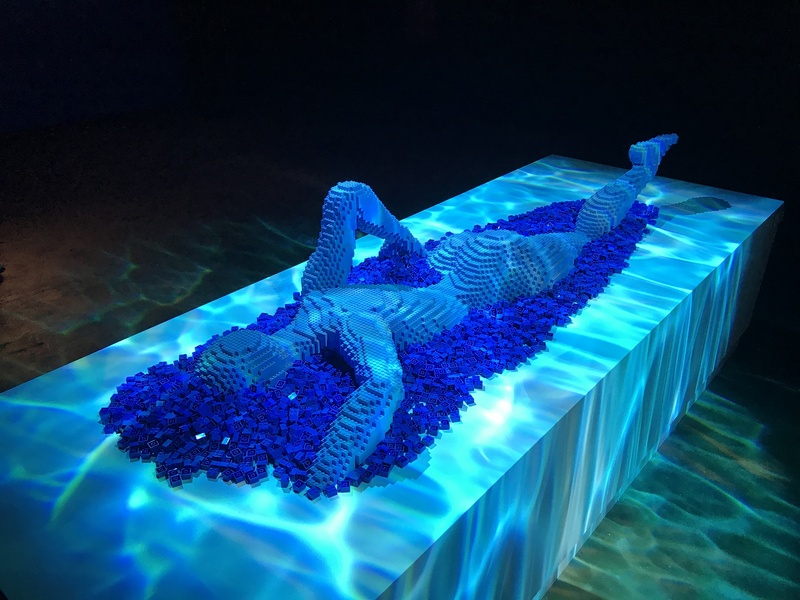 We got to see more than 100 art pieces made entirely of LEGO. And they were really impressive, even to those who might not be obsessed with these little plastic bricks. We arrived on a Friday afternoon just as the door closed. Luckily, we had to wait only a few minutes before they opened it again: they bring in small groups at a time, show you a 3 minute video about the creator of all these pieces, Nathan Sawaya, then you are let loose to meander your way through the exhibition at your own pace. What I really enjoyed about the show was the fact that there were recreations of famous art pieces from Asia to Africa, Europe to the Americas, and across eons of time. There were pieces in 2D and 3D, in art styles from ancient Egyptian to a Rembrandt self-portrait, as well as original modern pieces. The use of light and dark, motion and stillness, served each piece well. It was well thought out. As a parent and homeschooler, I couldn’t help think this could be a great component to learning art history. 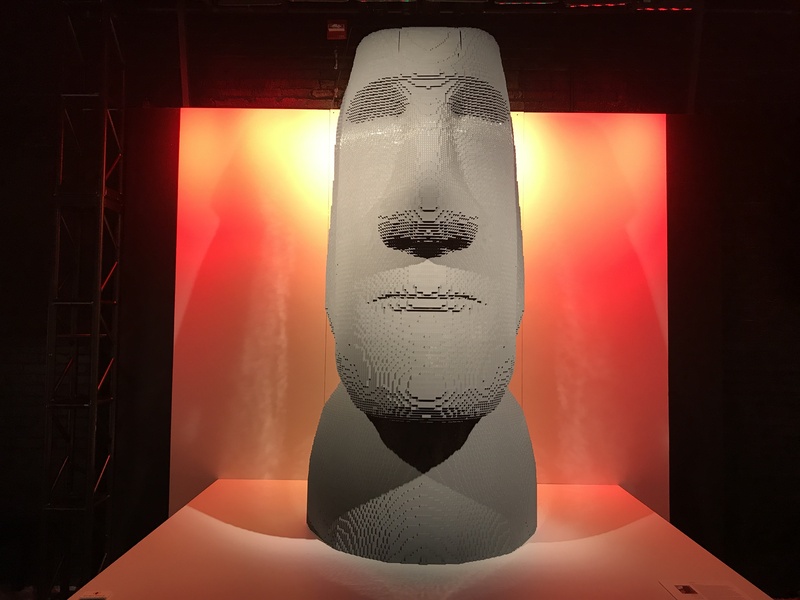 The Moai above was in a 1:1 scale and had a piece count of 75,450! For the most part, the lighting throughout the exhibition was really well done. The descriptions of each piece were nicely written: not too long to lose the kids’ interest and yet covered engaging information. We especially liked the brick counts. It took us just a little over an hour to walk through the exhibition until we got to the Brick Yard. This last area is filled with LEGO bricks at low tables for kids to build their own inspired creations so your time here will vary. I think we made it out of the Brick Yard in under 30 minutes, which was pretty good (but we cheated because we had to get home before going to karate). 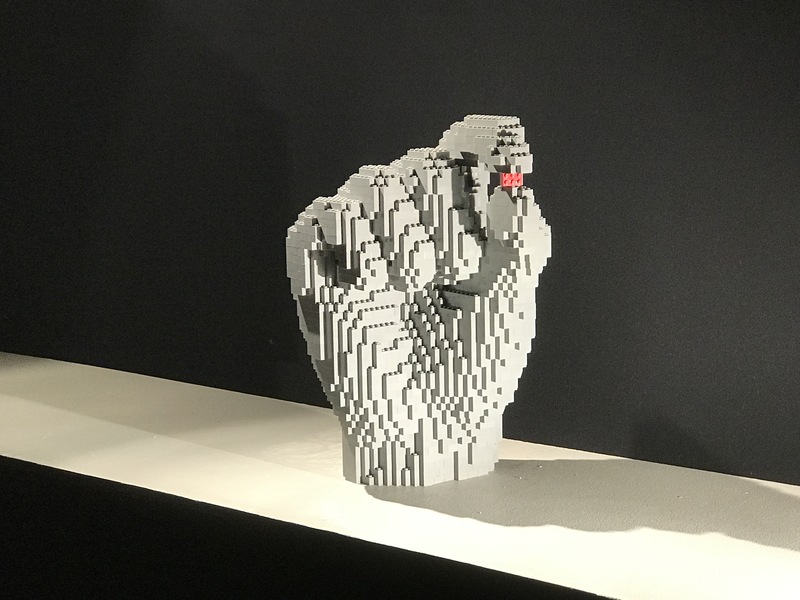 The LEGO exhibition runs through September 4, 2017 and is FREE to the public. No ticket required. The guy at the entrance did comment that this morning’s wait time had been up to about 45 minutes, but we were lucky and waited less than 5. 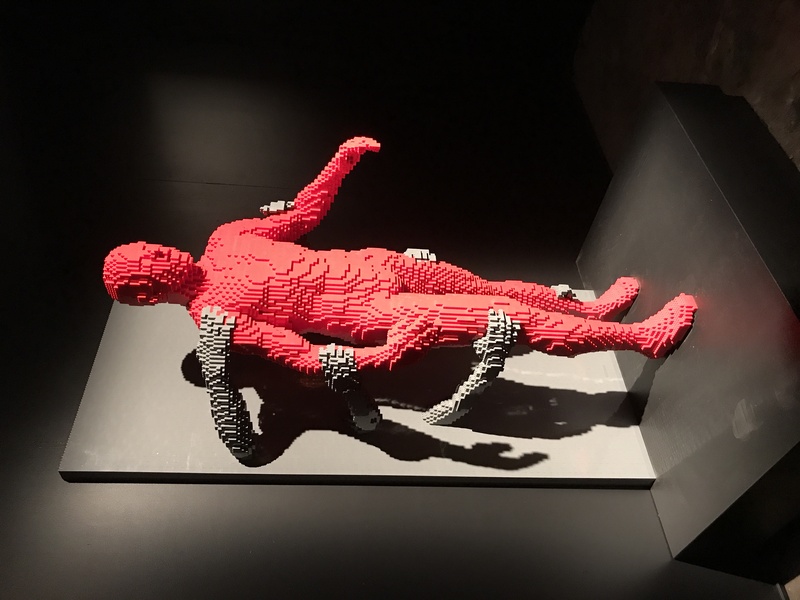 The Art of the Brick is open Wednesday through Sunday from 10 a.m. to 6 p.m.
Have you seen it yet? If not, what’s holding you back?? Great write up, Chantal! I definitely want to make it over there, time permitting! Lego is for everyone! Thanks for sharing!